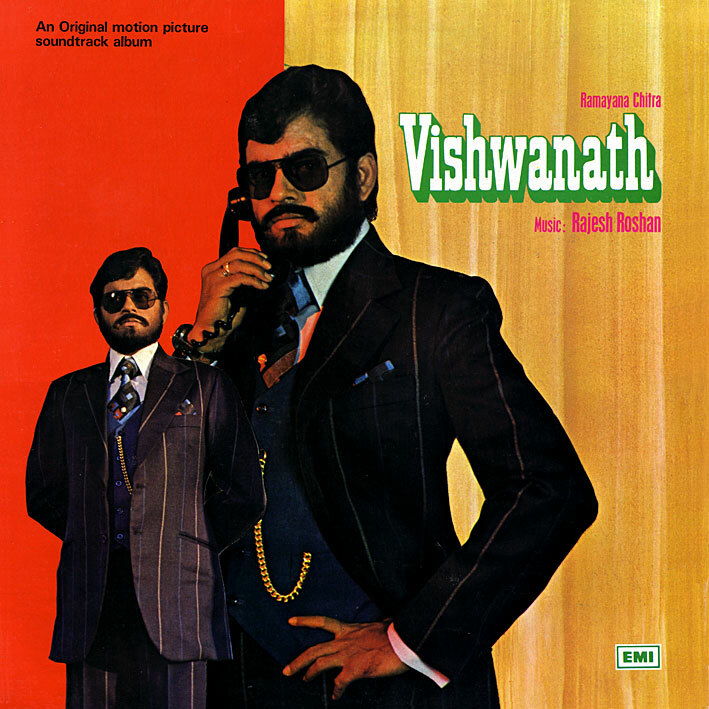 I posted 'Vishwanath' as an EP a while back; I liked it so much I wanted to find the LP. Which I now have. It offers three different takes on 'Jab Jab, Jo Jo Hona Hai' (I still like Lata Mangeshkar's lovely lounge one best), unedited versions of the high-octane 'Bibasha-Aaj Karegi Man Mani' and the gorgeous 'Hawa Se Halki', a rather cool new track in 'Duniya Ne Mujhe', and a fast-paced, dramatic instrumental. Definitely worth the upgrade. Well done, PC. Thank ya! Thanks so much for this amazing blog - I love it so much!!! Oh dear. Firstly, I have already stated very clearly that this blog only gets sporadically updated, if and when I acquire new records to post. Secondly, I have over the last half a dozen years spent thousands of hours ripping records and writing about them in order to share with other people. For free, out of my own spare time. Time I could have easily spent elsewhere. Nobody pays me anything for it. Suffice to say then, I find the implication, coming from a complete stranger, that I don't actually do enough, really annoying. dear PC I have almost each and every vinyl ripped albums which you have uploaded but your ripped quality is far better than mine that is why i was eager to have more to enrich my music bank. Please don't take my request otherwise. it is not flattery but true statement. Earnestly requesting you to upload a compilation of Kishore Kumar songs from your previously uploaded albums if possible.